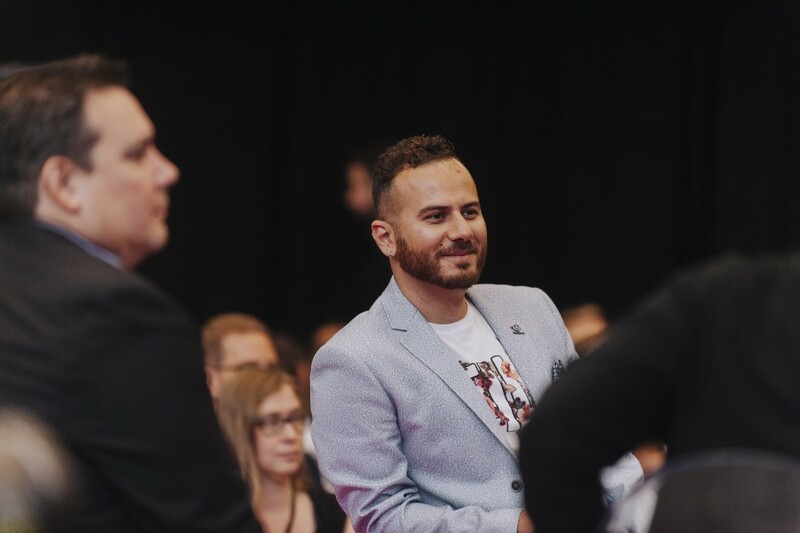 Ahmad Danny Ramadan is an author, storyteller and LGBTQ-refugees activist who spoke on 6 Degrees Citizen Space 2017’s 360: Bridges panel. He reflects on his experience watching Ai Weiwei’s documentary at 6 Degrees Presents: Human Flow. A month later, and I’m still glowing with happiness that I was among the lucky folks attending 6 Degrees Citizen Space! Between the engaging conversations, the amazing networking opportunities and the endless stream of new friends and fellow social thinkers, I felt right in my element, and truly appreciated the positive experience. As I was heading to the airport to my next destination on my book tour, I honestly did not want to leave. 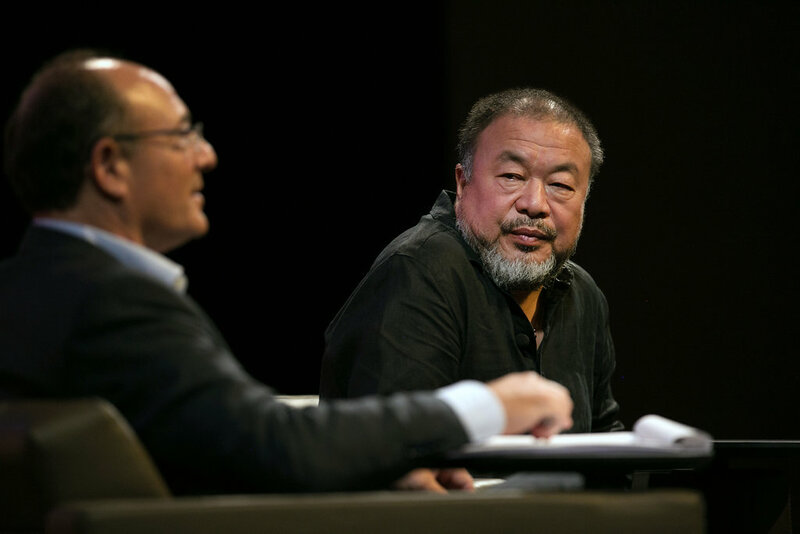 A highlight for me was surely the screening of Human Flow by Ai Weiwei; this says much about that experience, as it remains with me among the many events of a gathering that gave me the opportunity to meet amazing folks like Sophie Grégoire Trudeau, Adrienne Clarkson, Margaret Atwood, Reni Eddo-Lodge and Hadeel Ibrahim. (I realize now that all of those folks are women, and many of them women of colour! Kudos to 6 Degrees for prioritizing the experiences and voices of such leaders). Back to Human Flow, which left me with some seriously undigested feelings and triggered me back to some of my own experiences as a queer Syrian refugee. The movie depicts the challenges many Syrian refugees go through to arrive in Europe escaping civil war and terrorism and searching for a dignified living. As the camera zooms in and out on folks, abandoning the bird’s-eye view the world sees them with, and focusing on their individual vulnerability, challenges, difficulties, and – amid all of that – joy and solace, I couldn’t stop thinking of how backward the world, and specifically Europe, is heading as it denies them access to refuge. Europe, and the world in general, is creating the monster that it fears by abandoning those refugees. We’re talking about people who are skilled: workers, farmers, lawyers, doctors and artists; who are losing their humanity and their skills as they walk, quite literally, across Europe hoping to find a place to call home. Generations of children are being birthed on foreign lands with no identity or nationality, and no access to health, education, or any prospect of living whatsoever. I keep asking for recognition of the individuality of each refugee and their story, and how they can contribute to the community that hosts them; however, in a couple of years this individuality would be lost. The only identity that matters to them would become their refugee identity, which will erase slowly but surely all their other identities. We’re literally creating the single-minded, unskilled and traumatized refugee we’re afraid of by denying those refugees access. And what do you believe they would turn to? Do you think they will disappear? Do you believe they will just wait there patiently until the supposed end of the war in Syria and return there peacefully? Do you believe that those people, living in tents under the rain, with no education, no health system, no jobs and no future, will just wait motionlessly until that promised end? Whose words do you think they will listen to other than extremism and sectarianism and hatred toward the West and all it stands for? The west that abandoned them and rejected them and built walls to keep them out? Values that are seen as Western such as democracy, social justice, women’s rights, queer-acceptance will become the work of the devil. Yet tomorrow, when extremism extends, and the issue we abandoned for so long gets even more out of hand, who do you think will be blamed? The refugees themselves. The response will be more xenophobia, more Islamophobia and more hatred – extending to our elections, bringing conservative figures and Alt-Rights to the tables of our world leaders, effecting the world as a whole. For I see your blessings and I feel your love ..
… even through the pain I live in everyday. How would I sleep at night? I spend my time sleepless. Not due to cold and hunger. But because I want to worship you until you’re happy with me. Even the fish in the sea can witness my dedication.